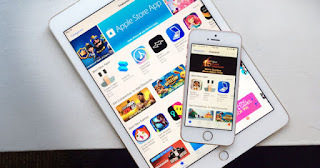 If you do not want to see yourself in a dilemma of whether you should buy or not, we recommend that you deactivate in-app purchases completely. How is it done? Well, in this article we are going to leave you quite detailed instructions for you to carry it out. To disable this function , just follow the steps that we leave here. Enter the Settings of your iPhone or iPad. Here, slide until you get Restrictions. Once you are within Restrictions, click Activate Restrictions. Choose a key for the restrictions, but do NOT forget it. Scroll until you find Shopping in the app. Turn off the switch that is next to this feature. It's ready. Now when you try to make a purchase within any application it will tell you that it is not possible. This feature is quite useful especially if we have children in the house, who are the most likely to use the bank details associated with your iTunes account to make "innocent" purchases. If you want to deactivate the restrictions, you only have to do the reverse process, but you will need the key you have previously set. Shopping within apps can save us a little time in the App Store, but if we make a mistake, we could end up spending a lot of euros on them . Have you made an in-app purchase in your entire existence? Leave us your answer in the comments!